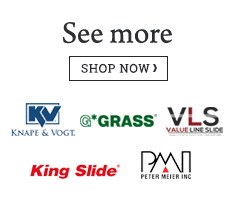 Choosing the right drawer slides can seem like a difficult task due to the fact that there are many different styles, weight capacities, and uses but we make choosing the right drawer slides easy by only offering the best quality slides at the best prices. 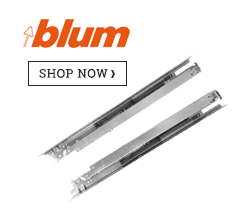 CabinetParts.com sells only the top manufacturers of drawer slides, such as Blum, Accuride, and Fulterer. 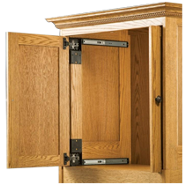 While there are many options and choices, quality and cost are always a consideration. 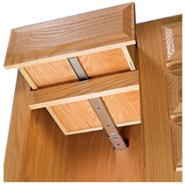 You will want to carefully choose the correct drawer slides for your application by using the information below. 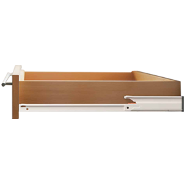 Details Multi-purpose drawer slide. 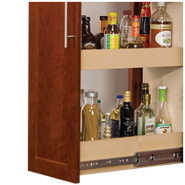 Available in many weight capacities from 75 lb to 500 lbs. 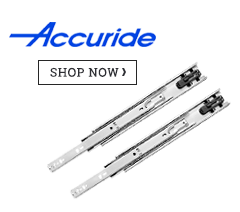 Available with full extension, partial extension and full extension with overtravel. 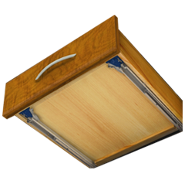 Also available with self close, soft close, and touch release options. A good quality slide. 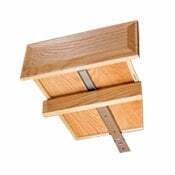 Great for dovetail drawer boxes. Popular slide used when cosmetics are a consideration. 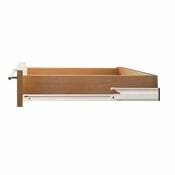 Slide is mounted under the drawer box and is not visible when the drawer is extended. 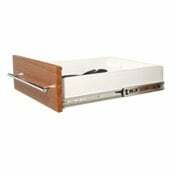 Drawer box must be built to exact specifications. Available in several weight capacities. 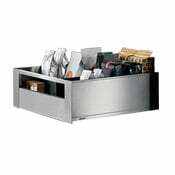 Drawer system with steel sides. Can have nylon roller bearing or wheel roller. 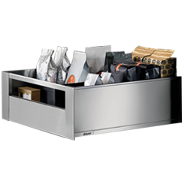 These systems have several options that allow you to customize the look of the drawer to your exact needs. Several weight capacities offered. Nylon wheel roller slides that attach at the bottom of the drawer box. 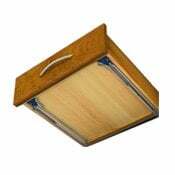 Available in full extension and partial extension only. Available with 75-lb and 100-lb weight capacity only. 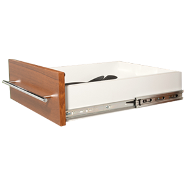 Ideal for small, lightweight drawers. 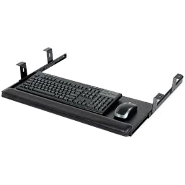 Available with 35-lb or 50-lb weight capacity only.